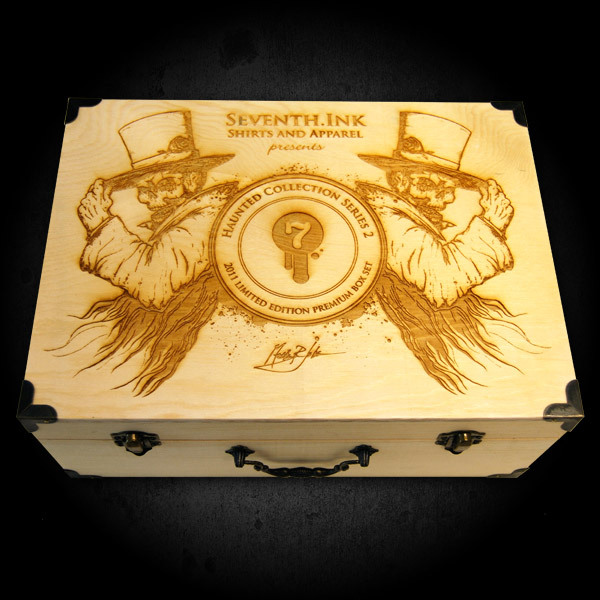 Limited edition box for 3 shirts by Seventh.Ink. 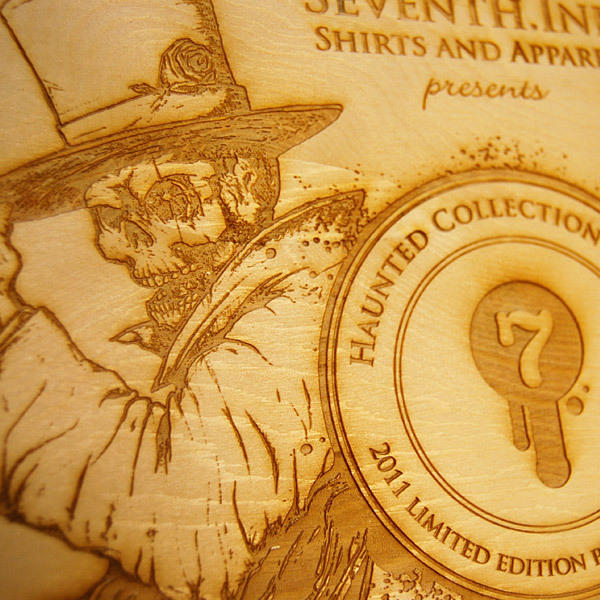 Woodburned. Wonder how the box would have looked like without the black metal.